A helpful explanation of Cunningham’s sound view of how the WCF relates both church and state and the Christian attitude toward both. The scriptural principles which regulate the relation between Church and State necessarily involve and imply these two positions: First, that the only rule or standard by which the affairs of a church of Christ ought to be regulated, is the mind and will of Christ, revealed in His word; and, secondly, that the parties in whom the right of interpreting and applying Christ’s laws for the administration of the affairs of His kingdom,—for the management of the ordinary, necessary business of His house, —is vested, are ecclesiastical office-bearers, and not civil functionaries. There is nothing in the twenty-third chapter of this Confession which is inconsistent with these principles, or which sanctions the recent decisions of the civil courts in reference to the Church of Scotland. In proceeding to prove this, I assume that the statements contained in twenty-fifth, thirtieth, and thirty-first chapters of the Confession, about the general character of the Christian church, —the sole Headship of Christ over it,—and His appointment in it of a government in the hands of church officers distinct from the civil magistrate, involve and imply the two positions already stated. I assume further, that these two positions fully vindicate “i.e. principles and proceedings of the church, in so far as concerns refusal to obey the decisions of the civil courts; and that her principles and proceedings cannot be successfully or plausibly assailed without an explicit denial of these positions. I assume ‘his, because it has been repeatedly asserted and proved in the course of this controversy, and because no one of any weight or respectability has ever attempted to answer it. The twenty-third chapter can be made to serve the purpose of our opponents only by its being shown that it contains principles inconsistent with these,—that is, that the Confession is inconsistent with itself This, of course, is not to be presumed, but the reverse, and very strong evidence must be produced in order to establish it. If the twenty-third chapter is susceptible, without straining, of a meaning consistent with those principles so clearly stated in other parts of the Confession, this, according to all the rules of sound interpretation, must be received as its true, real, and intended import. It is quite unwarrantable to impute inconsistency, especially to such a document as the Confession of Faith, if by any fair interpretation the apparent inconsistency can be removed. Let us consider, then, whether we are shut up to the necessity of regarding the Confession as chargeable with inconsistency in this matter. Our opponents, in quoting this passage, sometimes leave out the first clause, though it plainly contains the leading proposition, which is the key to the whole sentence, and with which its other statements should, if possible, not be made to conflict. The reason of this omission is, that they are afraid of being asked what m meant by the “power of the keys,” which “the civil magistrate may not assume to himself,”—a question which many of them are quite unable to answer. The truth is, that this single declaration overturns the case of our opponents. The “power of the keys,”—taken in its more limited sense, as it must be here, where it is distinguished from the administration of the word and sacraments,—just means the ordinary power of government in the administration of the affairs of the church; and more particularly, the right of authoritatively and judicially determining all questions that may arise as to the admission of men to ordinances and to office in the church of Christ, and the infliction and relaxation of church censures. Whenever the civil magistrate presumes to decide or determine that any particular individual shall be admitted to Christian ordinances, or shall not be excluded from them,—or that any particular individual shall be admitted to the office of the ministry and the exercise of the pastoral cure, or shall not be excluded from it, —then, beyond all question, he assumes ”the power of the keys.” And as the recent decisions of the Court of Session necessarily involve or imply an assumption of this power, this important clause, which, like all the rest of the Confession, is embodied in our statute book, is of itself sufficient to prove that these decisions are inconsistent at once with the word of God, and the law of the land. It is, of course, upon the subsequent part of the sentence,— upon what is here said about the authority and duty of the civil magistrate,—that our opponents found. They never try to explain the precise meaning and import of the declaration. They just quote it, and then triumphantly ask us, “Is not this inconsistent with your views? Does not this sanction the decisions of the Court of Session?” But let us examine the meaning of the statement, and let us begin with inquiring, first, who is the civil magistrate here spoken of? and, secondly, What is the standard by which he is to be guided in the exercise of the authority here committed to him, and in the discharge of the duty here imposed upon him? Now, upon the first of these points, we assert that the civil Magistrate here means the supreme civil power, and the supreme power alone. This, like every other part of the Confession, « a summary of the truths actually contained in the word of God upon the point. It states nothing but what is actually found ‘ere; and the word of God, of course, contains nothing upon the point but what applies exclusively to the State, or supreme civil power,—the power that is responsible for the discharge of national duty, and the promotion of national welfare,—the power that is entitled and bound to regulate national measures, and to frame national laws. It is a statement of what civil rulers, when they come to study the word of God, find to be the function which He has there assigned to them,—the duty which He has there imposed upon them. And it is only the supreme civil power that comes directly into contact with God’s word as a rule for ascertaining and discharging duty. All subordinate civil authorities including the highest judicial tribunals, must be guided in their official actings by the constitution and law of the country; and every question as to what is, or is not, competent to them, must be determined by arguments derived from these sources. The civil magistrate, then, in the Confession, and, indeed, in theological writings in general, means the State, or supreme civil power of the nation; because it is only the State whose functions and duties are, or can be, declared in the word of God; and because it is only the supreme civil power, and not any subordinate tribunal, which comes directly into contact with God’s word as the rule, so far as it applies, of its official actings. The State may, indeed, delegate its whole powers and functions in this matter to some tribunal of its own creation; but if this is alleged in any case, it must be proved; and the proof, of course, must be derived, not from the word of God, or from any summary of scriptural truth, but from some act of the State itself,—that is, from the constitution and laws of the particular kingdom. It is to be observed, however, that while it is manifestly impossible to deduce from this passage an argument in favour of the decisions of the Court of Session, as the passage applies only to the supreme civil power, and as the question of what is or is not competent to the Court of Session can be determined only by an appeal to the constitution and law of Scotland, it may be quite possible to derive from it a conclusive argument against them. What is not competent, according to the word of God and the law of the land, to the State, cannot possibly be competent to any judicial tribunal created by the State. By the word of God and the law of the land, the State may not assume “the power of the keys,” and therefore none of the State’s functionaries or tribunals can lawfully or competently do so. The Court of Session has assumed the power of the keys, and therefore has been guilty at once of a violation of the law of God and of the law of the land. If our opponents could prove that the decisions of the Court of Session were comprehended within the sphere of action competent, according to this passage, to the civil magistrate, this, of course, would deprive us of one of our arguments against them, but it would not of itself afford any direct argument in support of them; whereas, by proving that the decisions of the Court of Session are such as, according to this passage, are not competent to the civil magistrate, we at once, and without any other medium of probation, establish the position that they were not competent to the civil court. The undeniable truth, then, that the civil magistrate here means the State, or supreme civil power, of itself proves that an argument cannot be deduced from this passage in support of the recent decisions of the Court of Session; while the declaration, that “the civil magistrate may not assume to himself the power of the keys,” proves at once that these decisions are contrary both to divine and human law. It is scarcely possible to speak in too strong terms of the ignorance or dishonesty of men who have been accustomed to brandish this passage, as if it at once, and of itself, fully vindicated all the recent enormities of the Court of Session in exercising ecclesiastical jurisdiction. That the word of God is the only rule by which the matters here referred to should be decided, must, of course, be admitted by every intelligent Protestant. And in regard to one important branch of the functions here assigned to the civil magistrate,— that which concerns Synods,—it is expressly declared, that he is to see that what is transacted in them be according to the mind of God,—the mind of God being thus distinctly prescribed as a rule to him, as it is to the ordinary members of the Synods. Upon the ground of this principle, it is manifest that the civil magistrate is not here authorized to do anything about the church of Christ until he has made up his mind as to what is the will of God upon the point; and that whatever he does must be, professedly at least, in accordance with the standard of the sacred Scriptures. And it is also manifest, upon the same ground, that neither the civil magistrate nor any other party whatever is entitled, when advising or directing as to the regulation of the affairs of Christ’s church, even to a hearing,—and still less, of course, to submission or obedience,—unless he at least profess to show that his views upon the point are scriptural, and undertake to prove that they are in accordance with the mind and will of Christ. No party whatever ought to attempt anything in these matters except in accordance with this standard; and no party interfering in these matters is entitled even to be listened to, unless he at least profess to be following scriptural directions himself, and to be urging scriptural authority upon those whom he tries to persuade, or presumes to command. Now, the recent decisions of the civil courts, which it is said the church ought to have obeyed, and by which she ought to have been guided in regulating her judicial procedure, did not profess to be founded upon the word of God, but merely upon the law of the land,—did not profess to be based upon a regard to the unity and peace of the church, or any of the important objects which the civil magistrate is here authorized and required to aim at, but upon a regard to the patrimonial rights and interests of the patron and the presentee. These decisions may, or may not, be competent and legal, but they cannot possibly derive any countenance or support from this passage, which plainly implies that the things to be done are to be regulated by the standard of the word; and they cannot possibly have any power to bind or oblige men in the administration of the affairs of the church, which, in whomsoever it may be vested, ought to be regulated only by the sacred Scriptures. In short, unless the civil magistrate seek to effect these objects, professedly at least, in accordance with the directions of the word of God, he is not exercising the authority here committed to him,—he is not discharging the duty here imposed upon him,—and, therefore, in such a case, an argument cannot be derived from this passage in vindication pf his decisions, or in support of the obligation alleged to lie upon any other party concerned in the government of Christ’s church to regard or obey them. The argument of our opponents, derived from this passage, would be seen, if they ventured to bring it out fully and plainly, to amount to this,—the decisions of the Court of Session are proved, by what is here said about the civil magistrate, to be lawful and competent—to be pronounced in the exercise of an authorized jurisdiction, and therefore it was the church’s duty to obey them. And it is quite a sufficient answer to this, independently of any examination of the question whether or not the Court of Session be the civil magistrate, to say, that whatever the civil magistrate is here authorized to do about religion and the church, he is bound to do it according to the standard of the word; and, therefore, if his interferences are not, professedly at least, based upon the word of God,—and still more, if they are professedly based upon a different standard,—they cannot, in virtue of anything here laid down, be entitled to any respect, or impose any valid obligation to obedience. To say that this passage affords any sanction to the recent decisions of the Court of Session, necessarily implies an assertion that the matters here referred to may be lawfully regulated by the law of the land as such,—for on that alone were these decisions based; and this is a position to which the passage not only affords no countenance, but which it plainly contradicts, by telling us that the magistrate is to see that these matters be regulated according to the mind of God. It is a mere evasion to attempt to escape from this argument by saying, that, though abstractly it may be true that the civil magistrate, in anything he may do about religion and the church, ought to be guided by the word of God, yet that this does not apply to the case of an Establishment, where the Church and the State have entered into an alliance,—where something like a compact has been formed between them,—where the two parties have come to an agreement as to matters of doctrine, government, worship, and discipline,—and where the public documents embodying the articles agreed upon form a common standard to which both parties can appeal, and by which both are in some sense bound. A statement of this sort has been occasionally put forth by our opponents for the purpose of escaping from the necessity of an appeal to Scripture, or any reference to it, as the only rule by which the affairs of the church of Christ ought to be regulated. The evasion, however, is of no real avail. It is true that, so long as Church and State adhere to the views with which they entered into alliance with each other, and so long as they are of one mind as to the interpretation of everything affecting its terms or conditions, matters may go on very smoothly, and there may be no occasion for recurring to first principles, or for appealing to the ultimate standard,—the word of God. But if a difference arise, either from an avowed change of sentiment in one of the parties, or from a dispute as to the meaning of those public documents in which the terms of their agreement are embodied, this difference can be rightly and satisfactorily settled only in the same way in which the alliance was originally formed,—namely, by an appeal to first principles and to the sacred Scriptures. A serious collision can scarcely arise between Church and State without one or other of the parties alleging, at least, that they are influenced by a regard to the authority of Scripture; and as this is the ultimate rule or standard to both parties, an allegation to this effect never can be irrelevant, and never should be set aside or disregarded, if it come from any quarter entitled to respect, and if important consequences hang upon the adjustment of the point. Whenever the authority of Scripture is pleaded by Church or State, the matter must be one of conscience, and therefore can be rightly settled only by an appeal to the laws of Him who is Lord of the conscience; so that, if the Church and State come into collision upon any matter which either party considers to be settled in the word of God, they must either, by consultation and discussion, come to an agreement upon scriptural grounds, or else they must separate from each other. Before so serious a result is allowed to take place as the breaking up of an alliance between Church and State, either party is entitled to expect that the other will give them a fair hearing; will listen to but consider their scriptural arguments, and decide the matter, professedly at least, according to the standard of God’s word. The civil magistrate may, indeed, refuse to listen to any appeal to the word of God, and doggedly declare that he is resolved to adhere to the compact, or to his own interpretation of it; but if so he is certainly not executing the functions committed to him by the word of God and by the twenty-third chapter of the Confession; and therefore is not entitled in this matter to any respect or obedience. If a dispute that may arise about a matter which ought to be determined by the word of God, cannot be rightly and competently settled by the mere dogged determination of the civil magistrate to adhere to the compact, or to his own interpretation of it, still less can it be lawfully and satisfactorily adjusted by any of his subordinate functionaries, in the exercise of mere brute force,—by interdicts and actions of damages,—by civil pains and penalties. Every one, of course, must see that, in most cases, there would be great practical difficulties in the way of adjusting in this manner, and upon scriptural grounds, a collision between Church and State; but beyond all question it is the only mode of adjustment which right principle admits of,—it is the only way in which the civil magistrate can rightly execute the functions which the twenty-third chapter of the Confession commits to him; and surely a collision between Church and State, threatening a disruption of the alliance, is an affair so important as to require the interposition of the supreme civil power, and to demand a recurrence to first principles, and to the ultimate standard by which all such matters ought to be regulated. I think I have proved, first, that the civil magistrate in this passage means the State, or supreme civil power; and, secondly, that in all that he is here authorized to do about religion and the church of Christ, he must be guided only by the standard of God’s word; and that, therefore, he is not entitled either to countenance or obedience when he interferes in these matters without professing at least to be guided by that standard. Either of these two positions separately,—and still more, of course, the two conjointly, —establish, beyond all doubt, that there is nothing in this passage which can afford any countenance to the recent decisions of the civil courts, as they were not pronounced by the supreme civil power, and did not profess to be based upon the word of God, but only upon the law of the land. These positions are, of course, quite sufficient to prove that the recent decisions of the civil courts cannot be sanctioned by anything contained in this passage, and cannot, in virtue of anything here said, be entitled to obedience, since they were not decisions of the supreme civil power, and did not even profess to be based upon the word of God. The second of these positions serves equally to prove, that the recent homologation of the decisions of the civil courts by the State or Legislature, is entitled to no weight whatever as imposing anything like an obligation to obedience; for its decision, too, was not based, even in profession, upon the word of God. It could scarcely be said to be professedly based even upon the standards of the church or the law of the land; for neither her Majesty’s Government nor the Legislature, in refusing the redress asked upon the ground of the standards and of statute law, attempted to meet the arguments which the church adduced from these sources in support of her claims. The decision of the Legislature was based upon an almost openly avowed determination to make the church subservient to the State,—upon Sir Robert Peel’s views of “the principles of English jurisprudence,”—and upon certain notions of “law, justice, equity, and common sense,” which, it seems, had found their way into the head of Sir James Graham. The decision of the Legislature may be sufficient to settle the right of the church to the privileges and emoluments of the Establishment; but it cannot have any weight in determining whether or not the church ought to have followed the course which the State approved of, and in a sense enjoined. But I have still to explain the meaning of the latter part of this section of the Confession, and to show that it contains nothing inconsistent with the principles now held by the majority of the church. The old Erastians admitted that the word of God was the only rule by which the affairs of the church ought to be regulated; but, denying that Christ had appointed in His church a distinct government in the hand of ecclesiastical office-bearers, they maintained that everything about the ordinary government of the church which required to be judicially or forensically decided, should be determined, ultimately at least, according to the rule of God’s word, indeed, but still by the civil authorities in other words, they ascribed to civil rulers proper jurisdiction in ecclesiastical matters, which sound Presbyterians have always consistently denied to them. The declaration, that “the civil magistrate hath authority and that it is his duty, to take order that unity and peace be preserved in the church,” etc., of course necessarily implies that all the things here specified the civil magistrate is entitled and bound to aim at,—to make it his object, by all means lawful in themselves and competent to him, to effect. And the leading points to be ascertained, in order to fix the meaning of the passage, are these: Does it mean anything more than this? Does it indicate the means he is to employ, in order to effect these objects? Now, there is no medium between these two things: either it must mean merely that these are objects which he is entitled and bound to aim at; or it must mean, moreover, that these are subjects in which he has rightful jurisdiction, that is, with respect to which he is entitled to judge and determine, not only for himself, but for the regulation of the conduct of others. Now, we assert that the words here used do not necessarily or naturally mean more than this,—that the various matters here specified are objects which he is entitled and bound to aim at; and that to interpret them as going beyond this, and as ascribing to the magistrate jurisdiction in these things—for there is no medium—is to make the Confession contradict itself, and the known views of its authors and of the Church of Scotland at the time when it was adopted; and that therefore the true, real, and intended import of the passage, is just to declare the great fundamental principle of national establishments of religion,—namely, that the civil magistrate is bound to exercise his lawful authority in civil things, with a view to the promotion of the interests of religion and the welfare of the Church of Christ, and for the purpose of securing these great results. I merely indicate the proofs by which this position is established, without illustrating them in detail, or pointing out fully their bearing and application. The civil magistrate has plainly the same degree of power, and the same right of interference, in all the matters which are specified here,—for example, in promoting God’s truth,—as in reforming corruptions and abuses in worship and discipline. “Whatever power he has in regard to any of these matters, he has in regard to them all, even the most sacred,—the very truth of God revealed in His word, and indeed the whole business of the Church of Christ. And this is a very strong presumption that the statement was intended merely to convey the idea that these were all objects which he was bound to aim at, and not subjects in which he had jurisdiction; especially as it is certain in itself, and is clearly declared in the Confession, that all these matters with which it is here said that the civil magistrate has something to do, are comprehended within the sphere of the jurisdiction of ecclesiastical office-bearers, and that the judicial regulation of them forms the whole substance of that distinct government which Christ has appointed in their hands. The introductory words, that he “hath authority, and it is his duty,” do not necessarily, or even naturally, mean more than that it is competent to, and incumbent upon, him; and then the next phrase, “to take order,” on which the meaning of the whole statement essentially depends, can easily be proved, according to the usus loquendi of that and the preceding period, to mean,—to attend to, to aim at, to see about, to provide for, to labour to effect. It is indeed just a translation of procurare, or providere, or dare operam, the expressions used in the same connection to convey the same idea in the Confessions of the Reformed churches. In the Latin translation of the Confession, published in 1656 at the University press of Cambridge, when it was under the control of the Presbyterians, this clause is rendered in this way,—nihilu tamen minus et jure potest ille, eique incumbit proiridere ut, etc., etc.,—it is competent to and incumbent upon him to see to it, or to make it an object of attention and effort. Brown of Wamphray, who was a minister of the church when the Confession was adopted, in quoting this passage in his Latin work, Libertino— Erastiance Sententice Lamberti Velthusii Confutatio, translates these words in this way: “penes tamen eum, ejusque officii est, operam dare ut,” etc.,—another proof that the words mean, and were understood and intended to mean, merely, that the civil magistrate entitled and bound to aim at the promotion of the important objects here specified, and to strive to effect them. The words, then, do not necessarily or naturally mean more than that the civil magistrate is entitled and bound to aim at, and to seek to effect, the different objects here specified, which are all comprehended under the general heads, of the welfare of religion and the purity and prosperity of the church of Christ. This is just the principle of National Establishments, which we believe to be not only true, but important. The Voluntaries, in opposing this principle, used to allege that it necessarily implied the right of the civil magistrate to exercise authority or jurisdiction in religious matters, and over the concerns of the church. This was denied and disproved by the defenders of Establishments, who showed that there was a clear and palpable distinction between the object of the magistrate’s care, and the sphere or subject of his jurisdiction; and that while he was entitled and bound to aim at the promotion of the interests of religion and the welfare of the church, he had no jurisdiction, or right of authoritative interference, in religious or ecclesiastical matters;—that the sphere of his jurisdiction was only the persons and the property of the men,—and that his jurisdiction in these civil things he was to exercise for promoting the religious and ecclesiastical objects which it was his duty to aim at and promote. The Moderate party in the Church of Scotland, whose ruinous policy gave to Voluntary arguments all their plausibility, and to Voluntary efforts all their influence, appear to have adopted the Voluntary notion on this point; and seem to think that the magistrate’s obligation to promote the interests of religion and the welfare of the church, brings these subjects within the sphere of his jurisdiction, and entitles him to exercise authority over others in regulating them. Not only, however, is there nothing in the general principle itself, but there is nothing in the mode in which it is stated in the twenty-third chapter of the Confession, to warrant such an idea. If, indeed, the civil magistrate could do nothing whatever for the accomplishment of these objects, except by the exercise of an Erastian control over the church which he favored, and by the infliction of persecution upon those whom he did not favor, there might be some ground for the views of the Moderate and Voluntary parties upon this point. But the assertion of the general principle of the right and duty of the civil magistrate to promote these objects, leaves untouched the whole question of the means which he is to employ for effecting these ends; and the Confession, while explicitly asserting the general principle of his right and obligation, does not specify either the nature of the authority he is to exercise, or the character of the means he is to employ, for that purpose. The exercise of any ecclesiastical jurisdiction,—the assumption of any right to decide authoritatively ecclesiastical questions,—cannot be supposed to be one of the means which he is to employ for promoting these ends, for there is no statement here that sanctions this idea; while it would flatly contradict those parts of the Confession which assert Christ’s appointment of a distinct government for His church in the hand of ecclesiastical office-bearers, and forbid the assumption by the civil magistrate of the power of the keys. The only thing specified here as to the means he is to use for effecting these ends is, that “he hath power to call synods, to be present at them, and to provide that whatsoever is transacted in them be according to the mind of God.” The word “provide” does not necessarily imply any exercise of authority or jurisdiction, any more than “to take order;” and as the latter phrase in the Latin translation is “providere” so the former is “prospicere”—to see to it—or to make it an object of attention and concern; while it is manifest, that to exercise an authoritative control in synodical proceedings, by reviewing and reversing them, is to assume the power of the keys. There is nothing, then, in this passage which warrants the magistrate to seek to effect these objects by exercising jurisdiction in ecclesiastical matters; and, therefore, he is to seek to promote them only in the exercise of his proper jurisdiction in civil things, by exercising his control over person and property, so far as is consistent with the nature of the objects he is to aim at,—with the rights of conscience and the liberty of Christ’s church,—in those various ways which, in defending National Establishments, were proved to be lawful in themselves, and fitted to effect the desired result. All the objects which ecclesiastical office-bearers are bound to aim at, the civil magistrate is also bound to aim at, just as every private individual is bound to aim at them. The magistrate is prohibited from exercising ecclesiastical jurisdiction in seeking to effect these objects; no specific statement is given of the means he is to employ for this end; and, therefore, the conclusion is inevitable, that the civil magistrate is, just like men in general, 0 us° the authority and power competent to him as such—and what that is must be ascertained from other sources—for promoting the interests of religion, and the purity and prosperity of the church. He has no jurisdiction in ecclesiastical matters, and therefore, in whatever he may do in regard to these things, and for the promotion of these objects, he must act,—freely and independently indeed, upon his own responsibility,—but still simply as judge of his own act, for the application of his own influence, and the regulation of his own conduct; and more especially, he must not assume jurisdiction over those who alone have lawful jurisdiction in these matters, and in whose hands the right not only of aiming, in some way or other, at the promotion of these objects, but of actually administering the government of the church, has been vested by Christ himself. It is true,—and true equally of church courts, of the civil magistrate as such, and of private individuals,—that they have authority, and that it is their duty to take order, that is, to seek to effect, according to their place and means, that unity and peace be preserved in the church, etc. ; but it is true only and exclusively of ecclesiastical office-bearers and church courts, that it is competent to, and incumbent upon, them “ministerially to determine controversies of faith, and cases of conscience; to set down rules and directions for the better ordering of the public worship of God, and government of His church; to receive complaints in cases of mal-administration, and authoritatively to determine the same;” and it is true only of ecclesiastical office-bearers and church courts, that their “decrees and determinations” upon these points, “if consonant to the word of God, are to be received with reverence and submission, not only for their agreement with the word, but also for the power whereby they an made, as being an ordinance of God appointed thereunto in Hit word.” (Confession, c. xxxi. sec. 3) This last clause points out distinctly the precise difference between the interferences of civil and of ecclesiastical functionaries in these subjects, ascribing to the latter, and to the latter only, jurisdiction in the matter. And there is nothing in the twenty-third chapter which is in the least inconsistent with it—nothing which marks out the civil magistrate as, according to God’s appointment, a proper party for regulating these matters, or for settling these points—nothing which ascribes to His decrees and determinations on these subjects any authoritative weight, any power to bind and oblige others, even prima facie and in the first instance. In asserting that ecclesiastical office-bearers, and they alone, possess jurisdiction in ecclesiastical matters,—that they, and the) alone, are entitled to administer the government of Christ’s house, according to His word,—we do not mean to claim for them infallibility, or anything like it; nor do we mean to assert that they have the exclusive right of interpreting the word of God, as applicable to these matters. On the contrary, we believe that every individual is entitled and bound to interpret the word of God upon all points for himself, on his own responsibility, for the discharge of his own duty, and the regulation of his own conduct, —for the purpose of deciding whether or not he will obey the decrees and determinations of synods, and whether or not he will concur and assist, by the use of his own influence and worldly substance, in promoting the execution and observance of their sentences. In like manner, the civil magistrate, in employing his legitimate power circa sacra—in exercising his rightful jurisdiction in civil things, for promoting the interests of religion and the good of the church—is entitled and bound to judge for himself as to the meaning of God’s word in regard to every point with which he in any way interferes. He is entitled and bound to form a free and independent judgment upon all these points, for the discharge of his own duty, and the regulation of his own conduct— for the purpose of determining whether or not, and how far, he will give the civil sanction to the decrees and determinations of church courts, and of deciding to what system of religious doctrine and of ecclesiastical practice he will give that countenance and assistance which his control over national measures, laws, and resources, enables him to render if he chooses. All this is true in itself, and is universally admitted; and yet Lord Medwyn and others have produced passages from Gillespie and Rutherford, as if in opposition to our principles, which convey this idea, and nothing more. All this, however, is fully conceded; but what is denied, and what is not necessarily involved or fairly implied in the twenty-third chapter, is, that the civil magistrate is, like church courts, “an ordinance of God, appointed in His word,” for the government of the church and the regulation of ecclesiastical affairs; that he has any proper jurisdiction in these matters; and that any other party whatever, even a private individual, is called upon to regard his decisions upon these points as the judgments of a competent authority, and as, because they come from the civil magistrate,—entitled to any reverence or submission whatever. The decisions of church courts upon these points are the decisions of a competent authority,—of a party authorized and appointed by God to entertain and dispose of these questions,—and therefore are prima facie entitled to reverence and submission. The civil magistrate and private individuals are, indeed, entitled and bound to judge for themselves, and with a view to the discharge of their own duty, and the regulation of their own conduct, whether the decrees, and determinations of synods are, or are not, in accordance with the word of God, and to act accordingly, upon their own responsibility; but as church courts are the only parties who have any proper jurisdiction in these matters,—who are authorized and appointed by God to entertain and dispose of these questions for the actual administration of the government of His kingdom,—their decisions carry with them prima facie, and in the first instance, an authority, or binding and obliging power, which men must remove or overcome by a virtual appeal to Christ, grounded upon their alleged contrariety to His word. The decisions and determinations of the civil magistrate upon these points, as such, have no authority whatever over any but himself; and as they are not the decisions of a party authorized to exercise jurisdiction in these matters, they do not even require to be disposed of by an appeal to Christ, but may be at once set aside, in so far as any binding power or any claim to submission is concerned, as passed a non habente potes-tatem. The external respect due to the civil magistrate, and the importance of securing, if it can be clone lawfully and honourably, his countenance and co-operation, will always render the church ready and willing to listen to any scriptural arguments he may adduce, and to strive to bring about a right and harmonious adjustment of the matters under consideration; but his views and decisions, as such, have no authority or binding power whatever, and are entitled to no more weight than the mere opinions of private individuals. If the civil magistrate has no proper ecclesiastical jurisdiction, and of course no right, when he decides upon ecclesiastical questions, to require or expect the reverence and submission even of private individuals, or of men in general, still less are his decisions upon these points, as such, entitled to reverence and submission from those who, and who alone, have jurisdiction in these matters,—who have a right to dispose of and decide all such questions,—and who are the only competent party for authoritatively regulating them. These views arc clearly sanctioned by the thirtieth and thirty-first chapters of the Confession; they are involved in the leading proposition of that very section of the twenty-third chapter which are considering,—namely, that “the civil magistrate may not assume to himself the power of the keys;” and there is nothing whatever in the remainder of the section that is in the least inconsistent with them. Upon the grounds which we have thus rather hinted at than explained, it is evident that the whole section may be paraphrased in this way: No civil authorities may assume to themselves the preaching of the word, the administration of sacraments, or the exercise of the ordinary government of the church, in determining authoritatively and judicially questions that may arise as to the admission of men to ordinances and to office, and as to the infliction or relaxation of church censures; for all this belongs, according to Christ’s appointment, to the sphere or province of ecclesiastical office-bearers and church courts. But though this is true, and must not be forgotten or disregarded, it is also true, and perfectly consistent with this, that the civil magistrate, acting in his own province, and in the exercise of the authority and jurisdiction competent to him as such, is entitled and bound to aim at, and to try to promote, all those objects which ecclesiastical office-bearers are bound to aim at— everything comprehended under the general heads of the welfare of true religion and the purity and prosperity of the church of Christ,—nay, he is not altogether excluded even from meetings of synods or church courts, who alone are the parties authorized by Christ judicially to entertain and decide these points; for in the discharge of the duty incumbent upon him to promote the unity and peace of the church, etc., he is entitled to call synods and to be present at them; and though not entitled to exercise any judicial authority in controlling or altering their decisions, so as to impose upon them any obligation to obedience, as if he were a higher authority in these matters than they, yet even there he is to exercise any influence or authority which he may lawfully possess, with the view of effecting that their decisions shall be according to the mind of God. The words in the latter part of the section do not necessarily or naturally imply more than is here admitted or declared as to the interference or authority of the civil magistrate in regard to religion and the church of Christ; while the ascription to or of anything beyond this, and more especially of any proper jurisdiction, or right to regulate the views and conduct of others in these matters, is flatly inconsistent with other parts of the Confession itself, and with the first and leading clause of this very section. The Confession of Faith, then, unequivocally and consistently supports these leading positions, which are perfectly adequate for the satisfactory vindication of our whole case,—namely, that the word of God is the only rule by which the affairs of Christ’s church ought to be regulated, and that ecclesiastical office-bearers are alone possessed of jurisdiction in ecclesiastical matters, or the right of interpreting and applying Christ’s laws for the actual regulation of the affairs of His kingdom; although the civil magistrate, and all other persons, are fully entitled to interpret and apply them for the discharge of their own duty and the regulation of their own conduct. Our opponents, in referring to the twenty-third chapter, always talk as if they regarded it as ascribing proper jurisdiction in ecclesiastical matters to the civil magistrate; but whether or not they really mean to assert that he has jurisdiction in ecclesiastical matters, they have never ventured to tell us. Is there no man among them who will venture to lay down, in a frank and manly way, and in distinct and explicit propositions, what they hold, as to the nature, extent, and limits of the power or authority which the word of God and the standards of the church ascribe to the civil magistrate, in sacris, or circa sacra They have the civil power on their side, and they seem to reckon this quite a sufficient reason for dispensing with anything like a fair and manly attempt to defend, or even to state, their principles. The writings of Gillespie and Rutherford have been appealed to by our opponents, as affording illustrations of the meaning of the twenty-third chapter of the Confession and testimonies against our principles; but nothing has been produced from them inconsistent with the interpretation we have given of the Confession, or with the leading principles we hold, as opposed to those which seem to be involved in the statements and conduct of our opponents. It is very easy to prove these propositions concerning the writings of Gillespie and Rutherford:—first, that in the general substance of their doctrines, and in many particular statements, they distinctly support the principles in regard to the proper relation of the civil and ecclesiastical authorities now held by the church; and, secondly, that nothing has been produced from their writings inconsistent with the principles now held by the church, except in so far as some of their statements seem to extend the magistrate’s power in civilibus circa sacra,—that is, the exercise of his rightful jurisdiction over the persons and property of men for promoting the interests of religion and the welfare of the church,— to a length which would now be regarded as involving persecution. 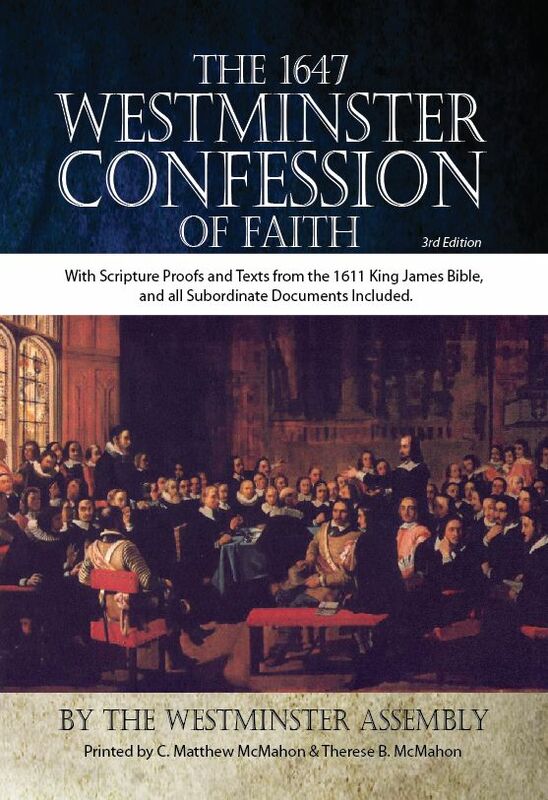 But by far the most direct and satisfactory illustration of the meaning intended to be put upon the twenty-third chapter of the Confession by those who originally adopted it as the standard of the church’s doctrine, is to be found in the “Hundred and eleven propositions concerning the ministry and government of the Church,” published, and virtually, though not formally, sanctioned by the Assembly of the Church of Scotland of 1647, the same Assembly which adopted the Confession. Baillie and Gillespie had been appointed to prepare these Propositions as a testimony against “the errors of Erastianism, Independency, and what is falsely called liberty of conscience.” They were prepared by Gillespie, and were submitted to the Assembly of 1647, for the purpose, and with the expectation, of their being adopted as a public testimony upon these subjects. The Assembly had not time fully and carefully to examine them; but having approved of the substance of them, comprehended in eight propositions, ordered them to be printed, that the church, and especially the theological faculties, might accurately examine them before next Assembly. The disputes about the Engagement prevented the matter from being resumed in the Assembly of 1648; but as they were intended and expected by Gillespie to be adopted by the Assembly, they furnish the most satisfactory evidence of what he at least understood to be the general mind of the church. This important document, though beyond all question the best evidence as to the meaning of the Confession, except the Confession itself, seems to have escaped the researches of Lord Medwyn, and of any of our opponents who have dabbled in this matter. And as Lord Medwyn recommends “the advocates of the recent proceedings of the church” to read the 8th chapter of Book II. of Gillespie’s Aaron’s Rod, with which many of them were familiar long before his Lordship began his studies upon this subject, and which contains nothing opposed to our principles, and a great deal that decidedly supports them, I would recommend him to read these Propositions, °f which I am pretty certain that he is totally ignorant. They make it manifest, beyond all reasonable doubt, that the Confession was not intended to sanction any ecclesiastical jurisdiction in the civil magistrate, or any right of authoritative interference in the concerns of the church of Christ; and they decidedly purport the principles held by “the advocates of the recent proceedings of the church.” I shall give some extracts in proof of this, although the evidence cannot be brought out in all its strength without a perusal of the whole. 5. “For our only Lawgiver and Interpreter of His Father’s will, Jesus Christ, hath prescribed and fore-appointed the rule according to which He would have His worship and the government of His own house to be ordered.